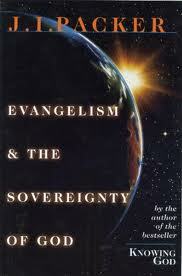 My view of evangelism is rooted in the sovereignty of God. I believe that the Lord is in control of man’s destiny. He has chosen His people before the foundation of the world. In other words, His decision of His elect in salvation is not depended upon man’s existence or decision. This concept was a bit difficult in my early Christian walk when trying to reconcile the sovereignty of God when dealing with Evangelism because they are pair of truths that forms an apparent antinomy in biblical thinking (pg. 93). Based on my understanding of Scripture concerning this topic of God’s sovereignty, Apostle Paul illustrates this apparent antinomy when Paul writes to the church of Ephesus (pg. 94). For example, when writing to the church of Ephesus, Paul says in the first chapter that God has chosen him and other fellow believers before the foundation of the world (pg. 94). This is a bit hard to grapple with for some people because what they see is that God reveals His plan for sinners in regards to His election, but He also tells us to evangelize the lost. I agree with Packer. Both aspects of God’s will in election and for evangelism are facts; and how they are related in the mind of God is incomprehensible to us (pg. 94). It is clear that the sovereignty of God does not stop me from evangelizing—that is clear, but the sovereignty of God does affect me in a positive way. There are a couple of reasons for that statement. For example, the sovereignty of God in evangelism gives me hope of excellence in evangelism; makes me bold, makes me patient, and prayerful, because I know that God is in control. Since He is in control, I will not fret when it comes to excellence in evangelism. I know that the Lord has chosen His elect before the foundation of the world. As a result, that should give me a reason to search for His elect. They are out there in the world. The harvest is full, but the laborers are few (Matthew 9:37). Moreover, His sovereignty makes me bold because God is powerful. He kills and makes alive. The Bible points to Christ as the captain of our salvation. As a result, His sovereignty makes one patient. Since He knows who will be born-again, it is sinful and fruitless to try to manipulate people into the kingdom of God. Having patience will keep us biblical in evangelism too. Another reason that I have learned about the sovereignty of God is that it pushes me to pray fervently. Prayer keeps me in total dependence on God rather than in my self.